14¾in. (37.5cm.) high (2) - Estimate $1,500 - $2,500. 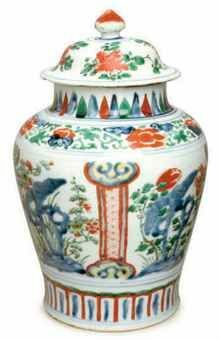 Commentaires sur A Chinese porcelain Wucai baluster jar and cover, 17th century.